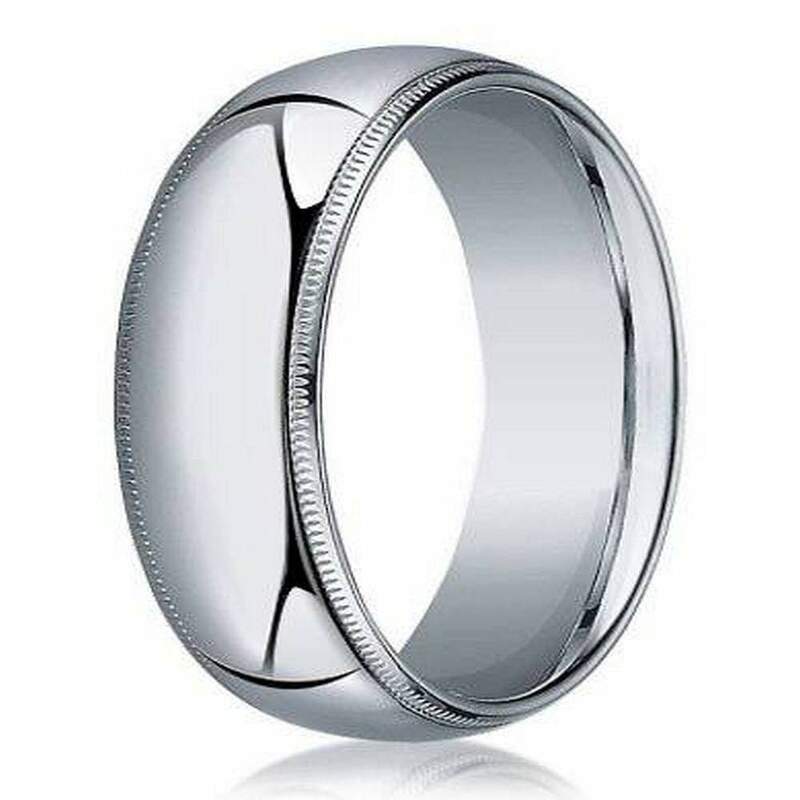 If you are in need of a unique wedding band for a one-of-a-kind groom, look no further than the designer 6mm domed milgrain polished finish with comfort-fit 10K white gold wedding band at JustMensRings.com. This exquisite band pays homage to the enduring beauty of white gold. 10k white gold contains approximately 41.7% pure gold by weight and an alloy of zinc, palladium, silver, or nickel to create a more resilient material than pure gold. White gold is an excellent alternative for grooms that prefer the look of silver, platinum, or palladium. Each men’s designer 6mm domed milgrain polished finish with comfort-fit 10K white gold wedding band features a 1.88mm band, so it is not too small or too big. Make the designer 6mm domed milgrain polished finish with comfort-fit 10K white gold wedding band even more special by adding a custom engraving up to 30 characters in length. A sweet sentiment or the date of your wedding will serve as a constant reminder of the special bond you share with your spouse. Each men’s designer 6mm domed milgrain polished finish with comfort-fit 10K white gold wedding band we offer comes with a free gift box, so you can surprise your groom right away. Comfort-fit wedding bands tend to measure a half size smaller than traditional bands. We recommend that you or your groom visit a professional jeweler to be sized for a comfort-fit ring before finalizing your order. If you have any questions, please don’t hesitate to contact us today for more information.